This post is inspired by a conversation I had on Facebook with a friend of mine. I posted a video of the fabulous display of awesomeness that was the opening number of the 2013 Tony Awards, featuring host Neil Patrick Harris. Others noticed and also posted praise about how fantastic NPH is. Including myself. One friend commented that she wasn’t sure why I’d be posting that NPH, the insulin, is awesome and required a second glance because I was the one posting it. 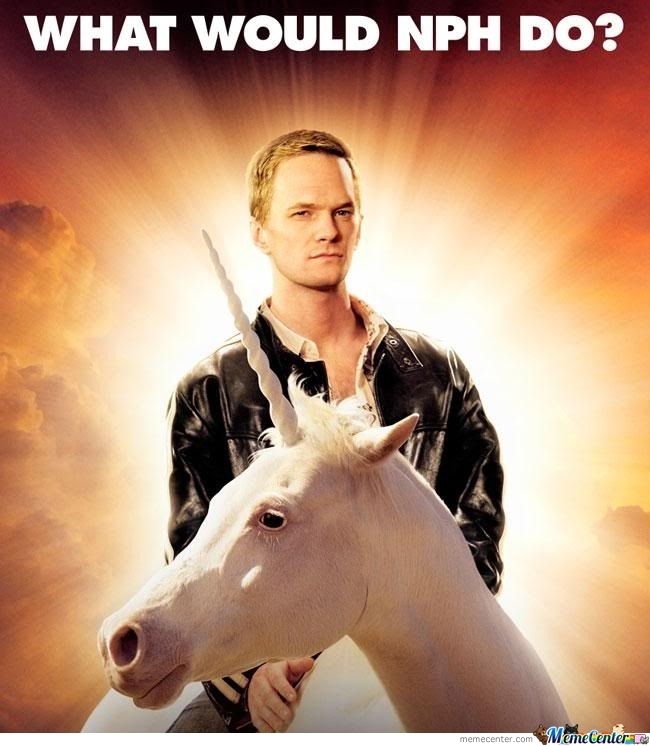 I clarified and said yes, Neil is awesome… NPH… not so much. Here’s why. I spent most of the 80s on a Regular/NPH combo cocktail that’d make Barney Stinson blush. Much to the chagrin of my parents and their many-a late night checks and hypo recoveries, this was my only option at the time to keep me alive. (Well… I guess there was 70/30, but who the hell willingly dabbled with that?) NPH is a long acting insulin that, when combined with Regular insulin (yes… that’s a brand name kids because it’s just regular pancreas juice [Thanks Scott]) could act as a replacement for the basals and boluses that we would get from a functioning pancreas and what we see with insulin pump technology today. Or… at least it tried. Am I thankful that NPH exists? Absolutely! Do I wish it on anyone’s life? Hell no. There was probably a reason that my average A1C as a child was 6.3% and it wasn’t for any good ones. But I always have to take a second look on Twitter now days… because NPH clearly means something completely different to me and other PWDs. I have such horrible memories of NPH; and the schedules and inflexibility that it caused. Oh, and “Regular” insulin really is just regular, unmodified pancreas-juice. The reason it works so slowly is because we inject it under the skin and not intravenously. All of the newer “-logs” are modified so they get absorbed faster. “My hypos were legen… wait 6-10 hours for it… dary.”. Best. Quote. Ever. And here I am thinking this was an interesting anomaly–a post that was just about dance. You learn something new every day. Subscribing to this blog is one of the best decisions I ever made.